The Debt Free Guys™ have decided to add a new feature to our website. On Fridays, we will publish what we call “Money Masters”. This will allow us to share with you the bloggers we read and who impress us. Hopefully, this will help you achieve your personal finance goals more quickly, as these bloggers are good and have different perspectives. We will ask each Money Master the same three questions, examples of which you’ll see below this introduction. We’re interested to see the different ways each expert answers the same questions. We will make minimal, if any, changes to each Money Master’s responses. Going forward, we will publish our weekly “#MoneyConscious Mash Up” on Saturdays. This will eliminate us making amendments over the weekends to original publications. 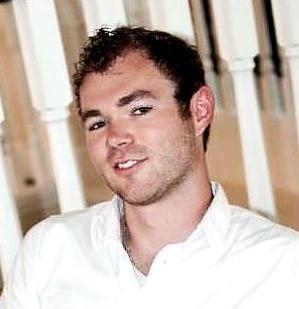 The first personal finance blogger we’ve chosen to highlight first is Cody Wheeler of Academy Success. Cody is a jack of all trades. On top of his personal finance knowledge, he’s an all around life coach. What we most identify with in Cody is his optimism. After you read his responses below, please check out his website athttp://academysuccess.com and add his blog to your RSS feed or favorites. Well this is a big question. In terms of personal finance, ever since I was little, I’ve always had an interest in making more money. I would ask my parents things to do so I could get a higher allowance. I would do odd jobs for the neighbors. I would save from birthdays, holidays, and my entire source of income to buy things that I wanted. I never really spent on little things. As I got older, I realized how important money was to leading a successful and comfortable life. Everything costs something. If I wanted to be successful and have a high income potential I would need a good education. If I wanted to drive a nice car, I would need to be able to at least make a good down payment. If I wanted to live in a nice house, I would need larger sums of money than I knew how to make at the time. Towards the end of my Bachelor’s degree, I started a tech consulting business, which is where I really cut my teeth in the world of business and money. At the time, the most money I had ever made in a week was a few hundred dollars, having been a teenager making no more than $10 an hour my whole life. But now I was making sometimes over $1,000 a week at age 20. Not all that much when I think about it now, but at the time I had no idea what to do with it. This is when I really started to have a need to learn about financial management. I was 20, so I didn’t have a lot of expenses. That meant I had a huge surplus of cash flow. One of the things my dad always taught me was to keep my expenses low, just in case. This is when I started dabbling with investing. I opened a brokerage account and an IRA when I was 21 and started learning the ropes of investing. I read numerous books and websites (this was before blogs were around) and developed a pretty good understanding of what it takes to live a wealthy life. Eventually I sold my shares of that company, put myself through graduate school for an MBA in Business, and moved onto other things I was more interested in – being a web geek. That’s how I ended up in the position I’m in today – doing web project management for one of the largest electronic component manufacturers in the world. Even after I got out of working for myself, and into the corporate world, I’ve always done something else on the side. Not just for money, but for fulfillment and enjoyment as well. I’ve never been a believer that we should just go through life working for someone else the whole way. I just wouldn’t be fulfilled if I didn’t. From there, I used the financial knowledge I had gained over years to continue to build my net worth through simple slow growth investing and a basic financial automation strategy. And that brings me to where I am today. Here I am at age 30, set up nicely for retirement, carrying a six figure net worth, and doing this interview in my dream house. I don’t know what the rest of the story will be, but hopefully it will be filled with me helping a lot of people, and continuing to grow my understanding of personal finance and success along the way. 2. What’s your point of view, as a personal finance blogger? The tagline of my site, Academy Success, is “Behave Successfully” – which means in order to end up like the successful people you admire, it’s not enough to just know what they know. You have to alter your behavior to incorporate their actions into your life as well. With any of the pieces I write, the videos I create, or the courses I teach, I like to dive deep into the human side of the equation to really help people understand what makes them tick, and how they can change their behavior. For example, there are a lot of people out there that have access to a 401k plan through their employer. They even have access to free money through matching plans and profit sharing and not taking advantage of these things. These people are literally forgoing millions of dollars in their lifetime. Millions! Why? It’s not enough to just tell them the facts about what they’re missing, and tell them to shape up. That won’t work. Their habits are too deeply ingrained. To really help, I like to try to understand what is making people make these kinds of decisions. Why aren’t they enrolled? What are they scared of? Do they really think money won’t matter in their future? The better I understand the problems of my readers and what is holding them back, the larger the difference I can ultimately make in their lives. Sometimes it’s tough to operate in this type of world because it requires a lot of time and research, but to me, Academy Success has never been about billions of page views and selling ads based on impressions. I could do that, but I wouldn’t feel right. For me, it’s more about helping people really understand themselves and make the right decisions for them to be successful. I believe that if I can do that, the goals I have for Academy Success will take care of themselves. 3. In one sentence, what’s one piece of sage advice from your personal finance background that you’d like to share with our readers? The easiest way to change a behavior is to automate it to the point to where you don’t have to worry about it; automate your savings and investing with technology and you can put a significant portion of wealth building on autopilot. Don’t forget to check out Cody’s website and blog at http://academysuccess.com. Also, check out his new eBook about automating your financial life. Managing your personal finances can be a pain. From paying bills to getting out of debt, to saving to investing, there is so much to do and keep track of, it’s nearly impossible to keep up with on your own. Cody’s book can fix that for you!